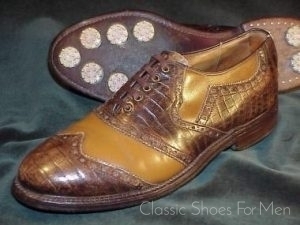 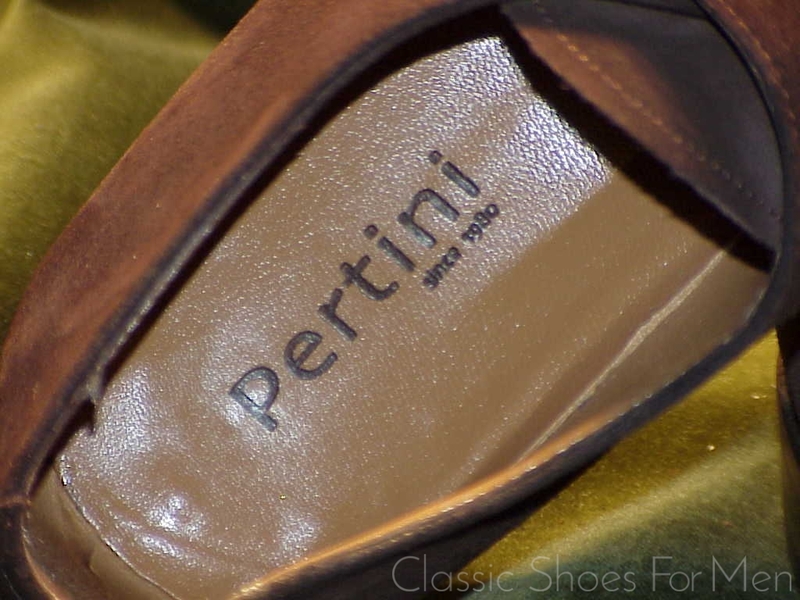 Pertini shoes are one of the hidden bargains, a well-kept secret among price sensitive shoppers. 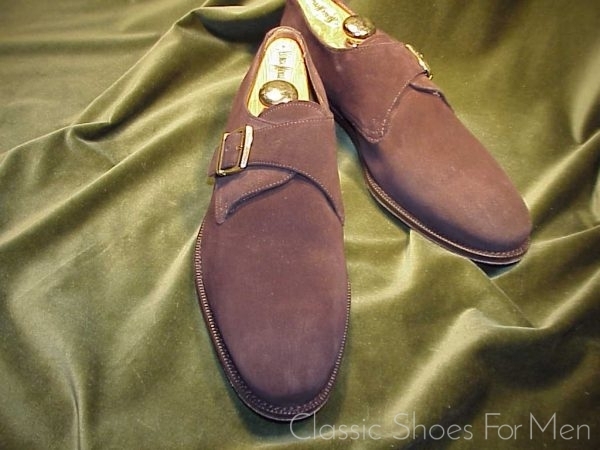 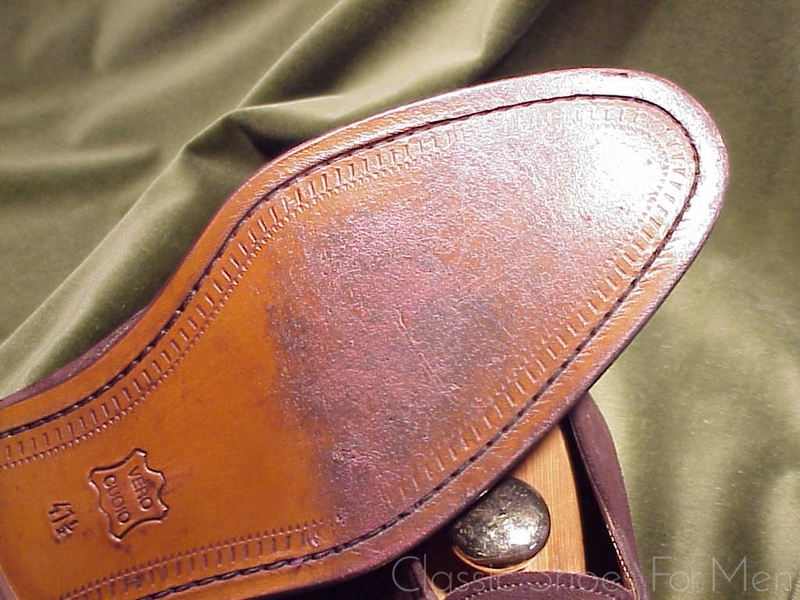 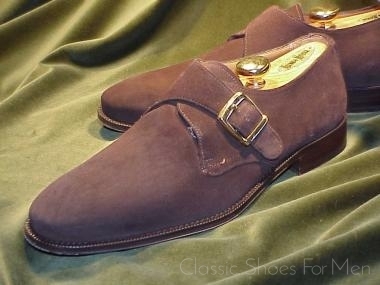 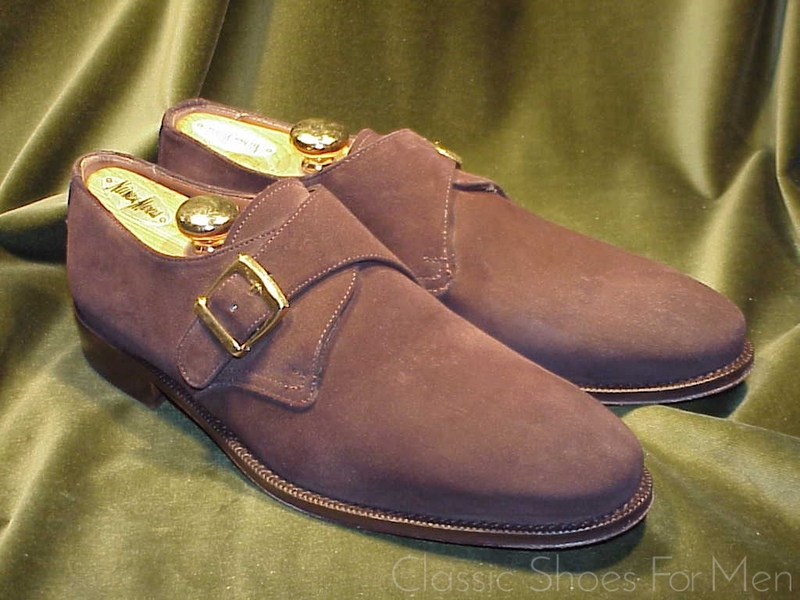 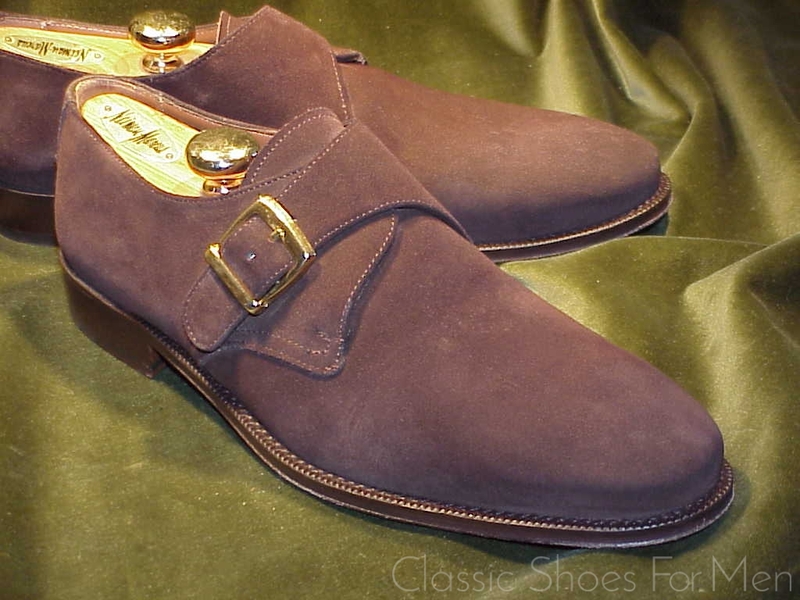 This handsome shoe, a classic suede monk strap is a good example of what little money can buy with Petrini, a beautifully formed and traditional monk, made from good quality suede and well constructed, although Blake stitched and not Goodyear welted. 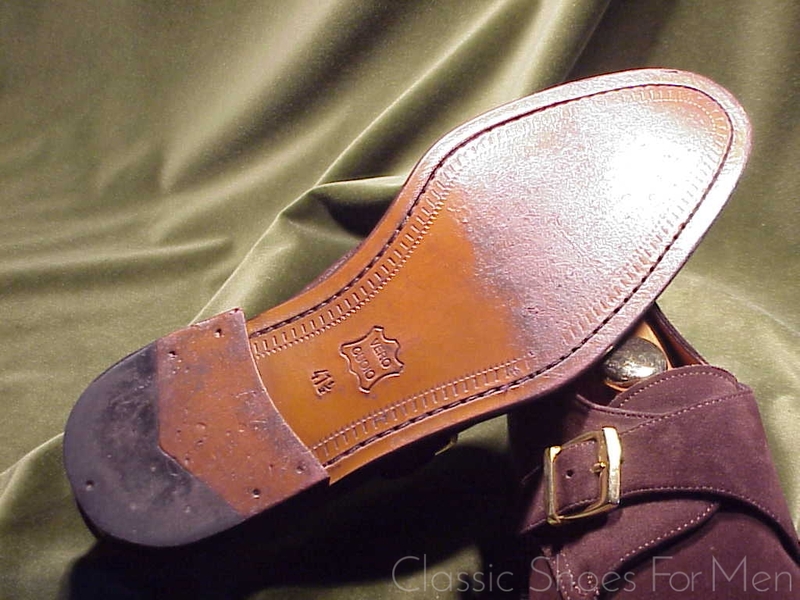 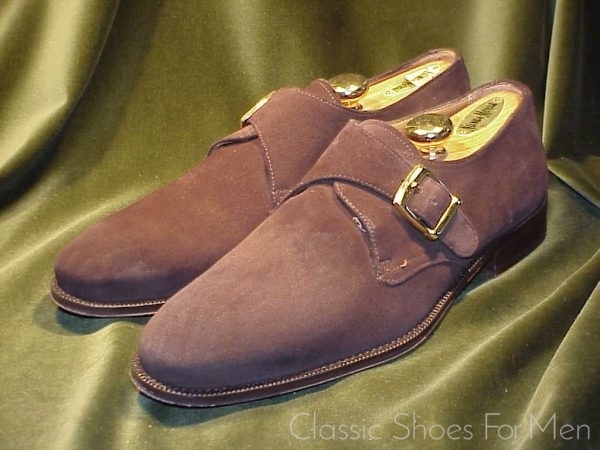 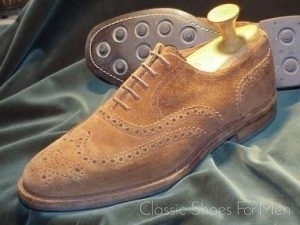 The medium brown suede is exactly the right colour for this fundamental shoe in the wardrobe. 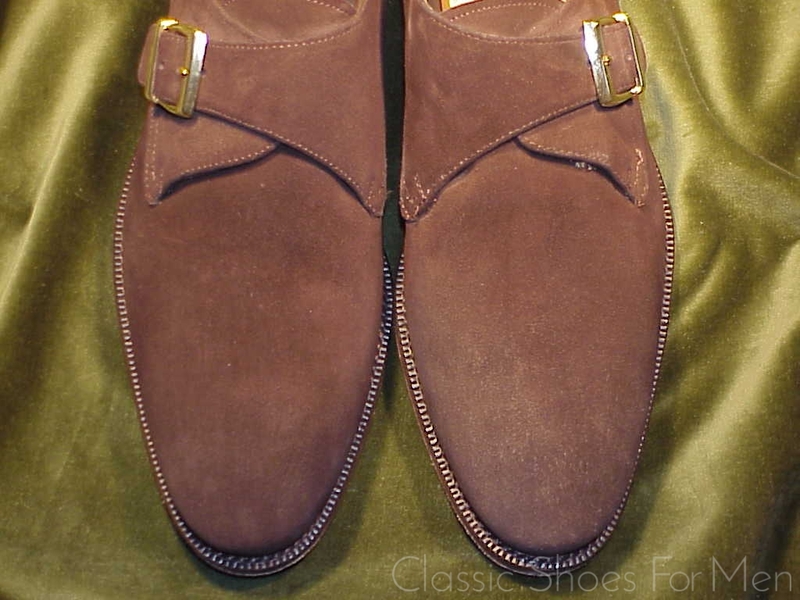 Brown suede is very much in the English taste and commonly worn with business clothes in London’s” City”, the financial center, as well as with every possible earth tone, tweed, khaki or corduroy on the week-end. 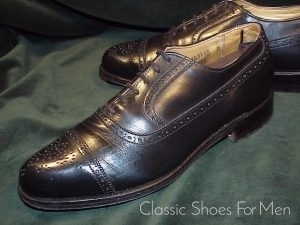 US8.5D......UK 7.5E......Continental 41.5D for the mid width foot. 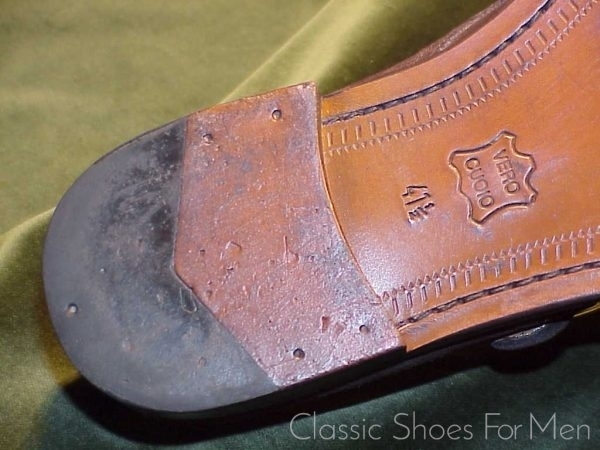 Appears to have been worn once or twice only. 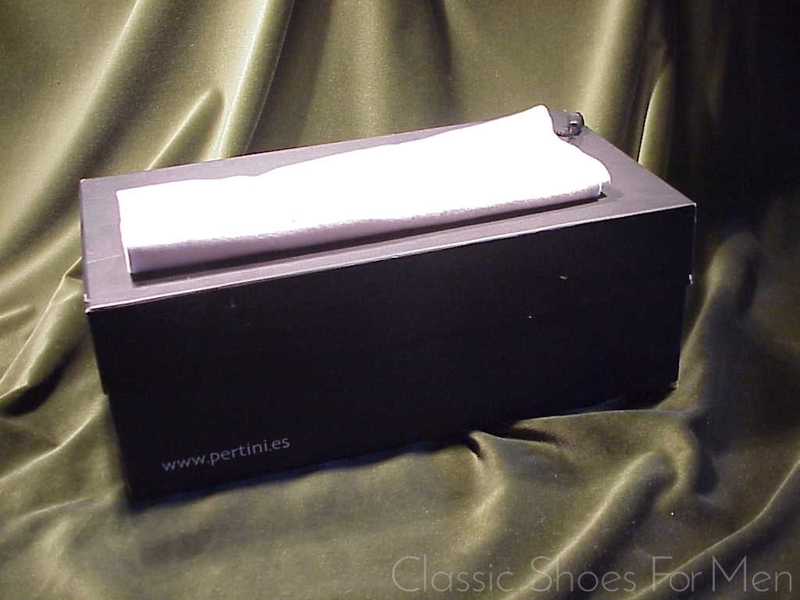 In original carton with flannel shoe bag. Sold without trees.